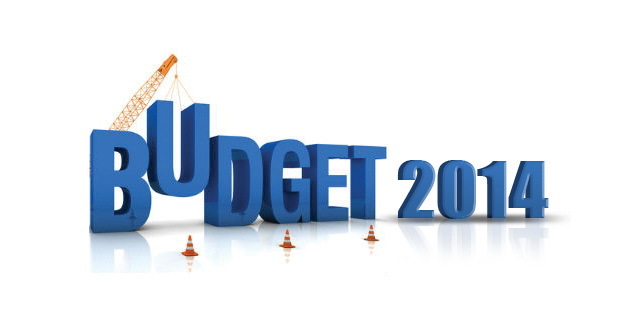 You are here: Home / Investments / What Budget 2014 means for you and I – the Common Man? There are lot of proposed initiatives in the current budget and while most of it will take time to show results; for you and I, the common man what it means? Let’s have a look. The income tax slab is raised from Rs. 2 Lac to Rs. 2.5 Lac so if you earn up to 2.5 Lac p.a. you will not be taxed. The rates however remain the same at 10%, 20% and 30% as your tax slabs rise. So far the tax rebate under Section 80 C was Rs. 1 Lac which is now raised to Rs. 1.5 Lac. So you can now save and invest more and save taxes. It is a good incentive to save and invest now. Another good move to encourage savings and investment for the long term is the increase in the PPF limit. PPF is a great way to save taxes as well as invest for your future and build a corpus, for like say retirement, kid’s education and so on. The current limit of Rs. 1 Lac is raised to Rs. 1.5 Lac, which means you can invest more in PPF and reap the benefits. The tax rebate given on interest paid on home loans in a year has been raised from 1.5 Lac to Rs. 2 Lac, again more saving on taxes. If you are a senior citizen, you can rejoice since the taxable income slab for you all has been raised from Rs. 2.5 Lac to Rs. 3 Lac. So you too need not worry about taxes if you earn up to 3 Lac per annum. There is focus on Women’s Safety with safety initiatives for women in large cities. There is a pilot project for Women’s safety on public transport to be launched. There will be additional women enrolment in law and order departments. There is focus to curb the killing of Girl Child and educating the girl child with ‘Beti Bachao Beti Padhao’ programme. LCD and LED upto 19 inches will be cheaper since duty on them is reduced to NIL. CRT TVs too will be cheaper and so will Indian Mobiles so you guys can have the latest ones at lower prices. Meru, Ola, TabCab, etc that is the Taxi services on call, will be expensive in the course of time. If you are a smoker you will have to shell out more. Tobacco, Pan Masalas will get expensive with the increase in duty on them. “Aerated Drinks with Added Sugar” (which means any cold drink out there..) is also set to be costlier. 5 More IIT and IIM to be set up with 4 more AIIMs in various states of India. This can be debated whether or not it will hamper the quality of education, but then it is a fact the in a country as large as ours, there are more people eligible for seats compared to the number of seats in such institutions. It can be a good move actually. There are lot of good things to come from the budget, however not all will impact the common man directly and immediately. Of course in time, it may improve our quality of life in some way or the other but that will take time. The ones mentioned above are probably the few that would impact us sooner. It may not be the best budget or something, it is still a budget that has intent to bring about change where it matters, and now it is a question of how well it is implemented. There are other commendable initiatives like Focus on North East region which is a pleasant welcome. Roads and Infrastructure is given importance. There is focus on education and job creation. There is specific focus on Sports and training for the Commonwealth and Asian games to be allotted Rs. 100 crores is again a good initiative, since while cricket is awesome, there are other sports too, and those sportsmen deserve better. There are encouraging signs for Start-ups and entrepreneurship even in smaller towns. There is an intent to supply uninterrupted power to all in India, though that is a long term plan which will take time. Airports in smaller cities and better infrastructure to them and so on. I work in one of the digital media companies and as i want to invest my money i want to know about ho do i need to start investing in stock market. i already have DMAT account, my salary is around 20 k. and monthly expenses is around 10 k. so i would like to have your guidance. First of all thanks a lot for your interest in the site. As per your question, that you wish to invest some money, Let me congratulate you for the decision, it is great to start investing. Now for the share markets; I would suggest that you first go for an SIP through a mutual fund. You can google and check the best performing ‘equity mutual funds’ and can choose a fund who is giving stable returns over the last 5 years-7 years. The reason is that mutual funds also invest in equity, just that they do it through fund managers who have better experience in the markets. You can always divide the Rs. 10K you wish to invest. Keep 2K as savings, Remaining go for 3K through an equity mutual fund and the remaining 3K you can invest in shares and the balance 2k can be PPF or RD. This is because if you put all the money you have in direct equity or shares, and if the markets are bad, you will suffer major losses. Instead dividing the money as suggested above will stabilize and diversify your investments. Hope this helped, good luck!